In 1964, at the Festival of Two Worlds in Spoleto, a show named Bella Ciao caused much controversy while effectively marking the beginning of the Italian folk revival. Some 50 years later, a prestigious cast has gathered to restage this influential song-cycle, which has today acquired a new urgency in the globalised world for its values of liberty, peace and civil rights. The songs have been updated and rearranged by renowned bandoneon master Riccardo Tesi and are interpreted by three of the most outstanding voices of Italian folk and social singing over the last 30 years: Ginevra Di Marco, Lucilla Galeazzi and Sardinia’s Elena Ledda. 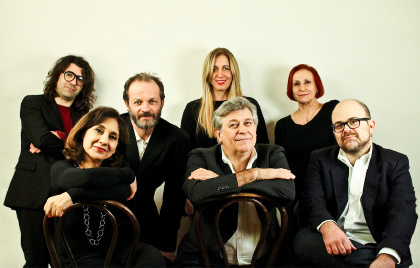 Bella Ciao is a historical narration unfolding through music, sounds and words, carrying deep significance, not only for the Italian folk scene but for all those moved by its message.